This post is sponsored by Veetee Rice. All comments and opinions are my own. I was very excited with several of the deals in the ad this week. 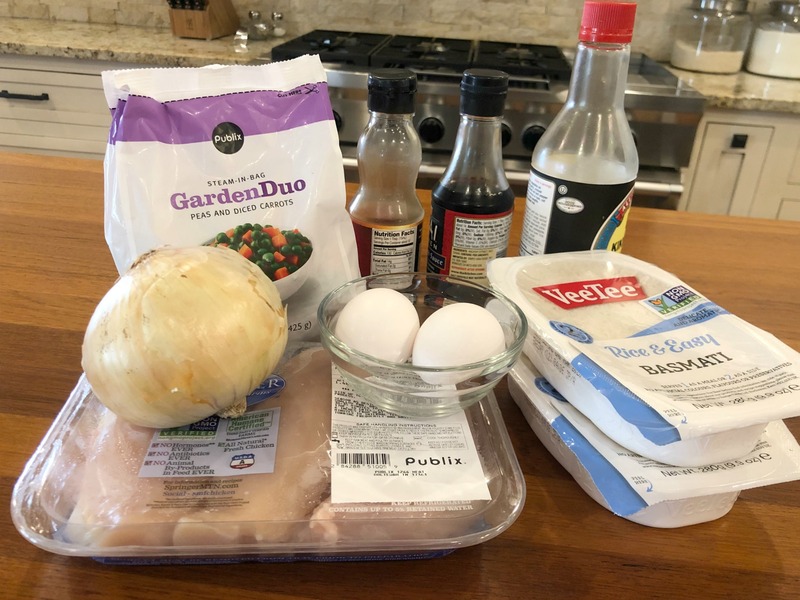 When I saw the BOGO chicken and BOGO Veetee Rice, I knew exactly what meal to share with you guys this week…my Easy Chicken Fried Rice recipe! This is a family favorite for the taste AND the fact that it’s super quick and easy to throw together. You don’t need a ton of ingredients or a lot of time to have a tasty meal on the table. I am talking under 30 minutes and this dish is better than you get from your local takeout place. You also get the option to adjust based on your preferences. For example, my guys LOVE the scrambled egg in this dish so often I will use three instead of two. No fish sauce? No worries, just add a little extra soy sauce and you’ll be A-OK! Garnish with green onion or sesame seeds…or both! You can take this recipe and make it yours and still be done in no time flat! Heat the oil in a very large skillet or wok. Add the chicken and cook for 3 - 5 minutes until browned on all sides. Add the onion, peas and carrots and stir fry for another 3 - 5 minutes until heated through. Slide everything to one side of the pan and add the eggs to the opening. Scramble the eggs with a spatula and once cooked, mix into the other ingredients. Add the rice, fish sauce and soy sauce then stir fry until hot. Serve topped with sesame seeds or sliced green onion. I love Veetee Rice for this dish as you don’t have to deal with the sticky mess that you get when trying to stir fry fresh cooked rice. You really want cold rice for this recipe and I certainly don’t have the time or memory to make rice AHEAD of time. Thanks to Veetee Rice, I don’t have to remember. I just peel the plastic and I am ready to roll! Veetee Rice has no additives or preservatives. Each tray is just nutritious rice that you heat and eat or use in your favorite recipe. With the BOGO sale you’ll want to stock up and be ready to serve up great taste in a flash! 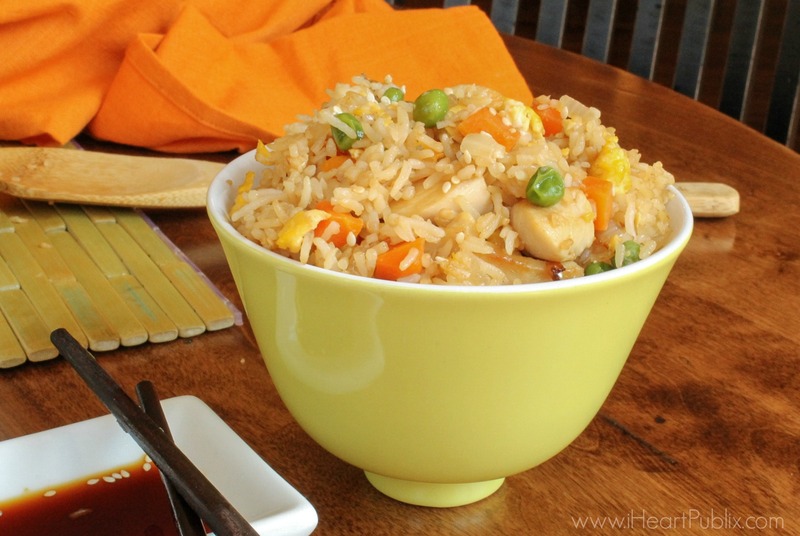 Grab a few ingredients and give my Easy Chicken Fried Rice recipe a try. I hope you love it as much as we do! This is exactly what I am going to make. I have left over turkey breast and was going to give it to the dog and cat. I’m making this tomorrow. Got mostly everything.